About HEALApplying to HEALProgram PerksIs HEAL For You? To begin a career in epidemiology and public health, you will often need both a bachelor’s degree and a master’s degree, which typically takes at least six years of education. Admission to the master’s program usually also requires a strong score on the Graduate Record Exam (GRE). The Health and Epidemiology Advanced Learning (HEAL) program allows you to skip the GRE exam before entering into your fifth year as a master’s candidate. When accepted to the HEAL program as an undergraduate, you’re also given conditional admission to the MS program in epidemiology offered through the Department of Public Health Sciences in the School of Medicine and Dentistry (part of Rochester’s campus). The program also provides you with advising by renowned faculty mentors, extensive research and professional development opportunities, and access to premier research facilities as both an undergraduate and graduate student. 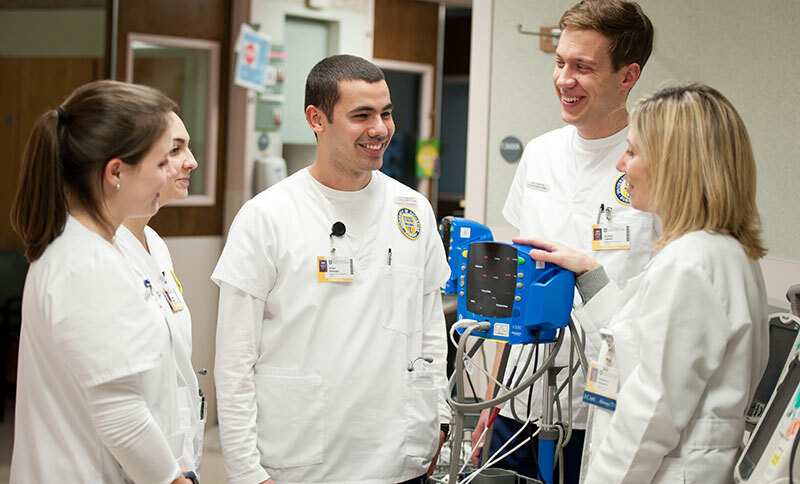 The Department of Public Health Sciences at the University of Rochester Medical Center is a dynamic group dedicated to the improvement of health and health care among diverse populations through research, learning, and community partnerships. The Master of Science in Epidemiology is uniquely positioned to provide the methodologies and skills needed to carry out research and public health programs to identify correlates of disease that may be targets of primary prevention, to evaluate the consequences of changes in health care delivery on populations, and to accommodate the growing need to integrate and analyze large-scale information. The program is focused on epidemiologic and biostatistical methods and is designed to provide students with the tools and skills needed to address future public health and information challenges. Apply through the Common Application or Coalition Application by December 1. Indicate your interest in HEAL on your application and a supplemental prompt will populate. Submit the additional piece of writing in order to be considered. Apply through the Common Application or Coalition Application by March 15 (only for transfer’s beginning fall semester). You will be notified of your finalist/non-finalist status in February. You must be invited to interview on campus. If selected as a finalist, you must come to campus to interview with members of the Department of Public Health Sciences in the School of Medicine and Dentistry. Interviews on campus will take place in early February. Your final HEAL decision will be sent shortly after the interviewing event. If you are not selected as a finalist, you may still have your application reviewed for general admission to the College without HEAL. If you are admitted to the College through Early Decision, you will receive your admit letter in mid-December, but your HEAL application will follow the Regular Decision process described here. Accepting our Early Decision offer cannot be contingent upon your admission to HEAL. Express an interest in, and knowledge of, public health programs at the University of Rochester. Take challenging classes (honors, AP, college-level, etc.). Do well academically (e.g., 3.7 high school GPA, rank in the top 15 percent of their graduating class). Perform well on standardized tests (SAT, ACT, and SAT Subject Tests such as math and science). Participate in extracurricular activities relevant to public health (e.g., Science Olympiad Disease Detectives, Science/MathBowl, volunteer in community).